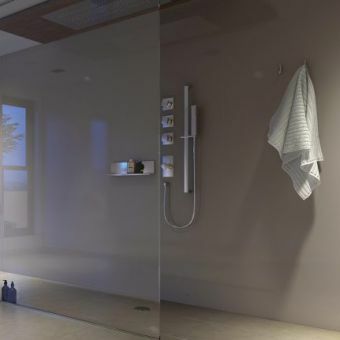 Waterproof, stylish and reliable. 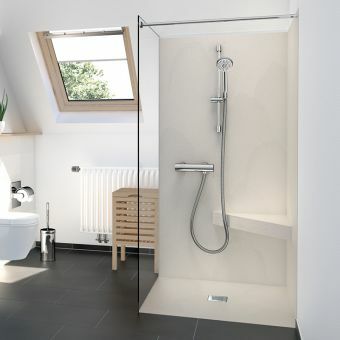 These are the qualities of the M1 shower wall panels by Abacus. 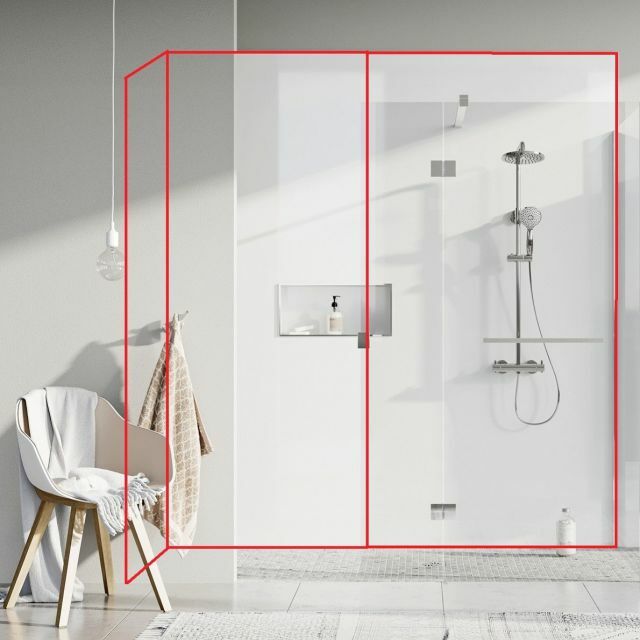 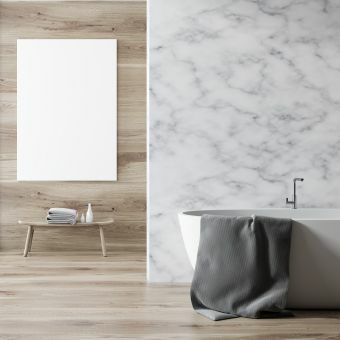 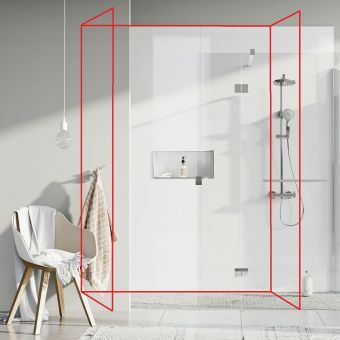 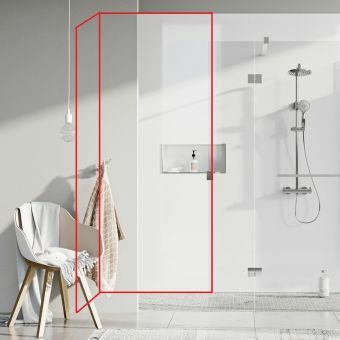 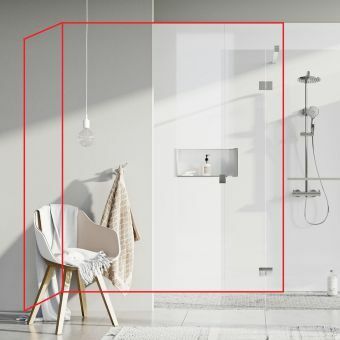 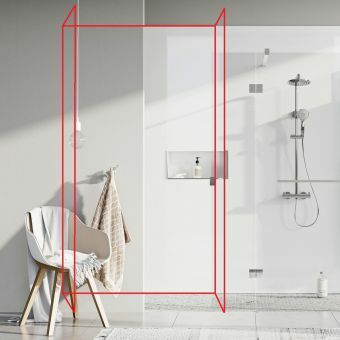 This pack is a combination of 3 shower boards with matching joints and optional trims to create an L shape at a maximum size of 1 meter by 2 meters, this fantastic solid PVC material can be cut to size allowing even greater flexibility and versatility for installation in a variety of bathrooms. 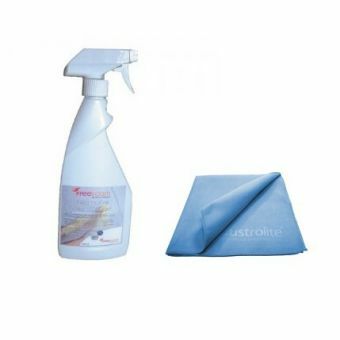 It is incredibly quick to install compared to tiling so will save your fitters and plumbers lots of time on installation, plus it is so much easier to clean and maintain once installed as it simply requires a quick wipe down, no more scrubbing and bleaching grout! 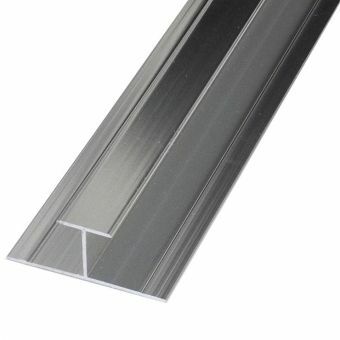 Pack 5 is an L shape and create a maximum space of 1000mm x 2000mm widths with a height of 2400mm. 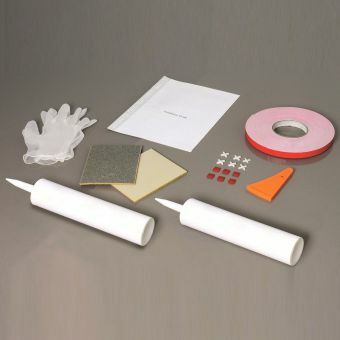 The pack includes everything you need to get started with installation straight out of the box, we would recommend the Abacus M1 Series Panel Cleaning Kit to keep your panels looking like new. 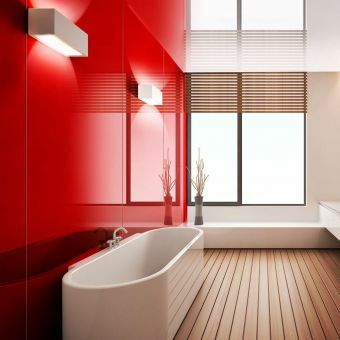 Fully PVC, no vulnerable inner core!